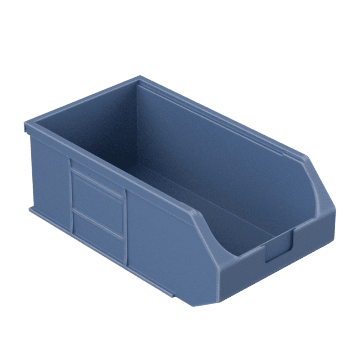 Also called hopper bins, shelf bins can stand alone or be used with shelves, cabinets, rails, or panels for storing loose parts. 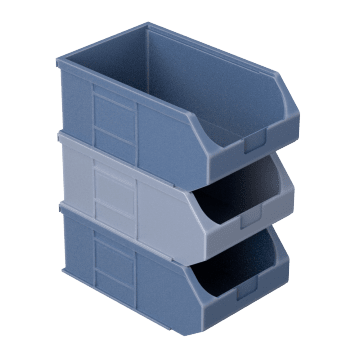 These bins are designed to sit on shelves and cannot be stacked or hung. 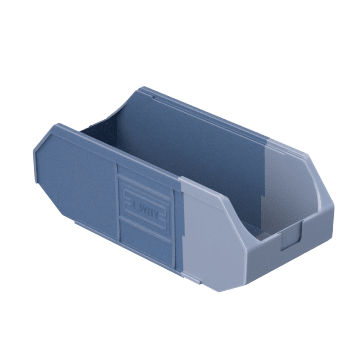 Maximize your organizing space with these bins that stack securely on top of one another. They hold more weight than bins that can be stacked and hung. Make the most of your wall or shelf storage space. 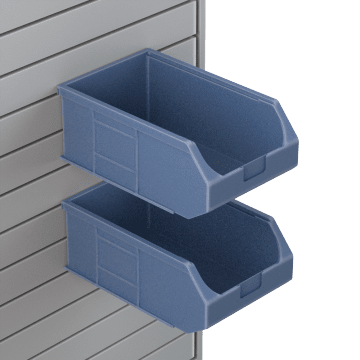 These versatile bins can be stacked or hung on louvered racks or panels. Open hoppers on the front and back of these bins allow access from both sides. The ends are different colors so you can flip the bin around to indicate low stock. 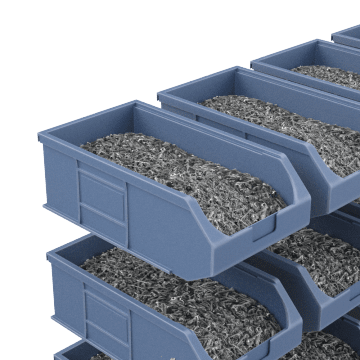 These bins are designed to sit on shelves and cannot be stacked or hung.